This is the 2nd part of the series Mumbai in 24 hours. Read the 1st part here. Enjoy the sunset at Marine Drive- Marine Drive, the most visited spot of Mumbai, begins to weave its magic when the Sun is about to go down. The vast necklace-shaped drive with the sea stretching out one hand and the distinguished Mumbai skyline on the other is hands down the perfect place to visit for a sunset stroll. When the tide is low, try walking on the boundary to have the best view and the best breeze blowing across your face. If you’re hungry from all the walking at the end, you can have a fresh fruit milkshake from a tiny roadside establishment right opposite Girgaon Chowpati (one of the ends of Marine Drive) by the name of Bachelor’s Shakes. You will definitely want another one after you finish yours! Eat a pizza at Pizza By The Bay- With Marine Drive stretching in both directions in front of your eyes, imagine yourself sitting in a restaurant by the window, enjoying another fresh breeze from the sea as you bite into a slice of the freshly baked, piping hot pizza and wonder if the delicious taste and the unparalleled view justifies the steep price. This is exactly what you would experience at Pizza By The Bay. Even if it is a little harsh on your pocket, it warrants a visit! 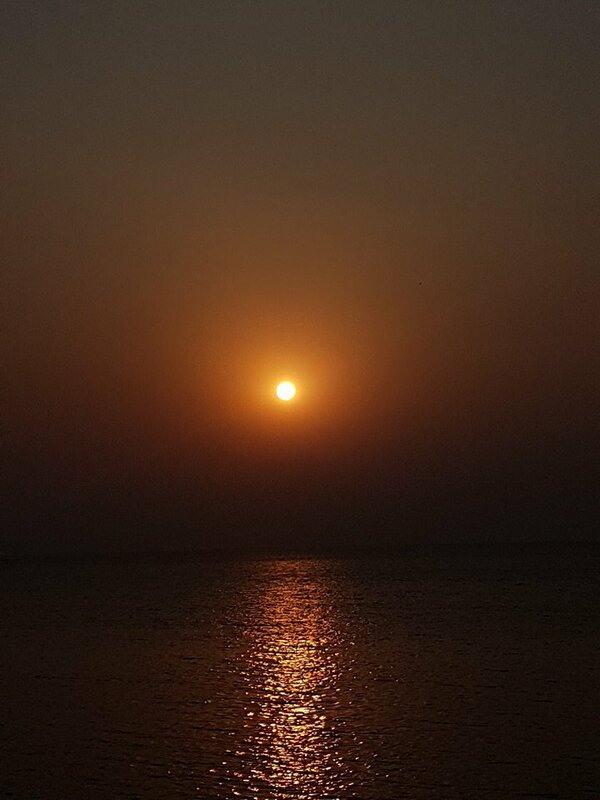 Watch the setting sun from Bandra Fort- The fort lies on the farthest corner of Bandra on an area known as ‘Land’s End’. If you are a fan of the architectural marvel Bandra-Worli Sealink, a visit to Bandra Fort would indeed be fulfilling. The sea link can be seen in all its glory on the west of the fort and as you marvel at it, the sun sets on the sea on its right. It is a sight to behold, both in your minds and in your cameras. Be sure to sit on the rocks in front of the fort as the waves crash on them and splash some salty droplets on your feet but beware of the time as it tends to pass quicker than usual at such places. Take a trip to Filmcity in Goregaon- If Bollywood attracts you more than beaches and you don’t mind being starstruck, you should head to Filmcity in Goregaon which plays host to several movies and T.V. shows everyday. You can take a tour around and see some of your favourite stars in action. However, the entry to this place is a bit tricky since you usually require a pass to go inside. So, try contacting your friends living in Mumbai for long and try to arrange a pass before you plan to visit. Be a tourist at Juhu Chowpati- For some experiences, it is essential to be a tourist and not a traveler. One such Mumbai experience is visiting Juhu Chowpati an hour after sunset. Admittedly, you will find a ton of other tourists as well as locals who come to enjoy the mildly chilling nights there. Another reason is because it is a street food heaven. There are several lanes of stalls selling the best street food Mumbai has to offer along with the charm of the sea! Go restaurant hopping on Carter Road and bar hopping in Khar- Carter Road is a foodie’s alternative to Marine Drive. It has cozy cafes on the street and places to sit by the sea. All in all, it should be your favourite place to satisfy any craving you have. If you’re in the mood for some drinks and dance, head to Khar for few of the best standalone bars of the city. Make sure to pop in after 10 PM as that’s when these places start to come to life. Walk from Nariman Point to Girgaon Chowpati after 1 AM- Nariman Point and Girgaon Chowpati are the two ends of Marine Drive. Late in the night when you want some peace, be it with your friends or some alone time, try taking a gentle walk from Nariman Point to Girgaon Chowpati. 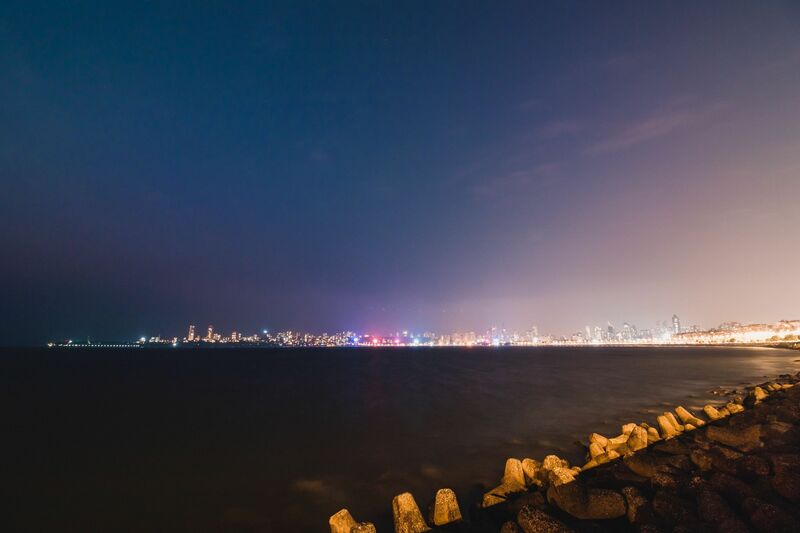 Admire the beautifully lit skyline of Mumbai from a distance and reflect upon the day you spent in the city. However your day was, at this point, you would not be able to resist your love that you would suddenly develop for the city. Mumbai is named ‘The City That Never Sleeps’ and when you visit, you will understand how true to its name the city is. Right from the rising of the Sun to the setting of the Moon the next morning, you would not find yourself with nothing to do. At every given hour, some part or the other of the city is awake and alive with life brimming into it. You are never alone, never stranded in the city. Its pace makes you move along with it and all you can do is cope up with it since being left behind is not an option. Mumbai’s organised chaos will leave you wondering on how the city functions but mark my words- it’s the air. The air of the city, along with its people, is what makes Mumbai the City of Dreams. It’s the air that brings out one’s creative demons and unleashes them on the world thereafter. That is why the city belongs to the dreamers- the artists, the writers, the actors, the musicians- and basically every person that has ever dreamt of flying higher than their wings previously allowed them to. If you too are a dreamer by heart, you would be in awe of everything that the city has- the tall buildings, the vast sea, the fast paced lifestyle, and the endless dreams.